In six days, the windy and dry conditions of Northern California were the perfect recipe for the fire to grow, as it grew to 125,000 acres. The Camp Fire continued to burn until contained. Over 9,000 firefighters risked their lives to help these people. As the holiday season is coming up, we all should be thankful for our protection from these fires and hope for the best for all of the people effected by these fires. President Donald Trump visited the disaster zone to meet individuals impacted by the wildfires, confirmed by the White House. According to CNN, officials predict that the Camp Fire wasn’t even halfway done burning as of November 18th. On Thanksgiving day, Guy Fieri, a famous chef and star of Food Network, and his close friends cooked amazing amounts of food to give to those effected by the fire who had no home to cook dinner in. “The group was brining, smoking and cooking 7,500 lbs. 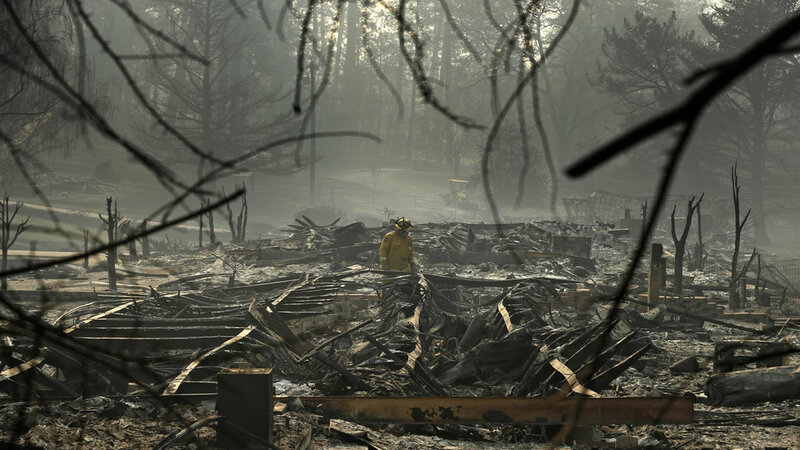 of turkey for more than 10,000 residents and relief workers affected by the Camp Fire.” The fire was 100 percent contained on November 25 and burned a total of 153, 336 acres, killed 88 people, and destroyed almost 19,000 structures, mostly residences. I do hope that the victims have a good Christmas. Very well written article Sophia!